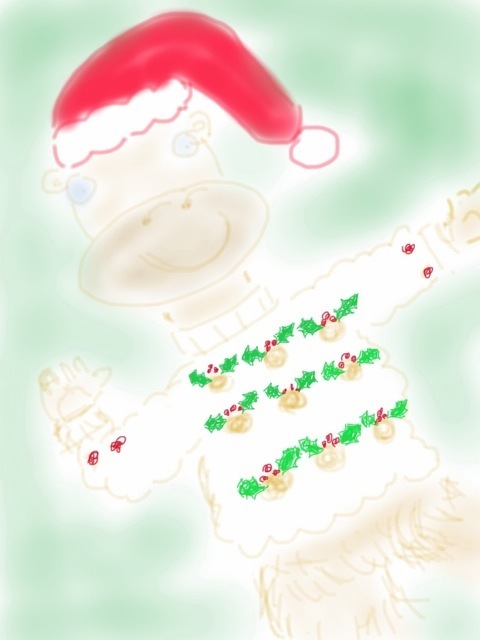 Peter, the monkey Captain’s brother, really loves the jumper that Captain stitched for him whilst out on the wild seas. Every Christmas he puts it on, toasts the Captain and thinks about where his adventures could have taken him this year. Unlike the Captain Peter get violently sick at sea so remains in the jungle looking for his own adventures from tree to tree.